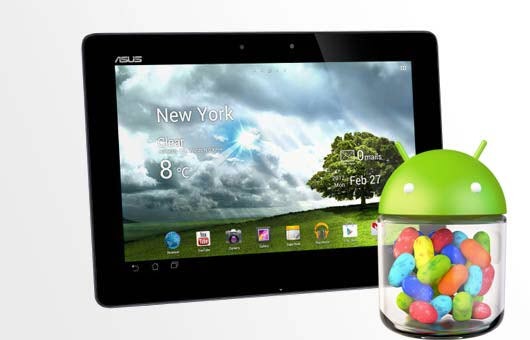 The Asus Transformer TF300T users can now install the CyanogenMod 9 Official Nightly firmware in their device with the help of given below installation procedure. Nightlies are ROM builds that are build (almost) every night (hence the name) incorporating the latest changes made in the code during development, letting you stay on the bleeding edge updates. Disclaimer : We should not be held responsible if any thing happens wrongly in your device. Follow the given below procedure at your own risk. We strongly advice you to take backup of all your internal datas with the help of backup applications. 2. After that push the update zip to your internal memory. 3. Reboot in recovery. For that you need to press Volume Down+Power button, then press Volume Up button when prompted. 4. Make a backup as we told earlier. 5. After that, navigate to “Install zip from SD card”, “Choose zip from SD card”, and choose the update zip you previously pushed to your tablet. If you want Play Store, then flash gapps also. 7. Reboot your device at last. 3. After that, navigate to “Install zip from SD card”, “Choose zip from SD card”, and choose the update zip you previously pushed to your tablet. If you want Play Store, then flash gapps also. 5. Reboot your device at last.